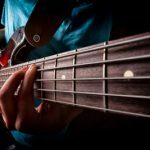 If you live in Barrie, we offer music lessons that will help you learn to play the songs you love and learn a few music theory fundamentals. Music lessons are often about more than just learning an instrument. Music lessons teach you dedication, determination and discipline – and they also encourage your love of music. There is nothing better than starting a new song, only to find a few weeks later that you can play the whole thing! Whether you’ve never picked up an instrument before, or you’ve mastered one and would like to transition to something else, you’ll love our engaging and inviting atmosphere at Mojo Music Studio. Our music lessons offer a combination of playing the songs you love and learning music theory fundamentals. 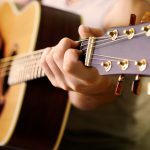 This gives you a more comprehensive understanding of your songs as you learn them and you can apply this information to any new songs you choose going forward. When you choose Mojo Music Studio for your next journey of music lessons, you will feel right at home in our comfortable learning environment, and your first lessons is free! Get your Mojo working . . . contact us today to get started! Whether you are a beginning student who loves the idea of learning your favourite guitar solos, you want to transition to the next level, or you already play another instrument and would like to add guitar to your repertoire, you have come to the right place at Mojo Music Studio. Break out the banjo! In a kitchen full of guitars, pluck the high notes. 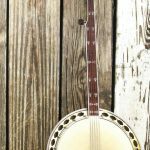 We’ll show you the finger picking style to play the bluegrass classics, as well as the songs you want to play. 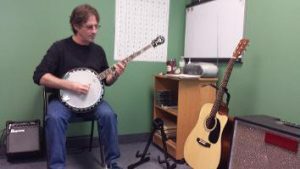 With our banjo lessons, you’ll learn the secrets of good banjo playing; combining chord progression with great melodies. The fun part about mandolin lessons is that once you have the chords and melody down, you can play both in a song and it’s never the same way twice. You pick the songs, or we have a million of them here. We’ll teach you the fundamentals, starting with three chords. Next comes melody, and that’s where the fun starts. 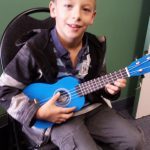 There are many reasons why you should consider taking ukulele lessons at our studio in Barrie. 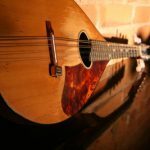 Why take ukulele lessons? Let us count the ways! Mojo Music Studio believes that all youth should have access to the tremendous benefits of music lessons. We have partnered with YouthReach, a charitable organization with the same beliefs, to make music lessons more accessible to youth. 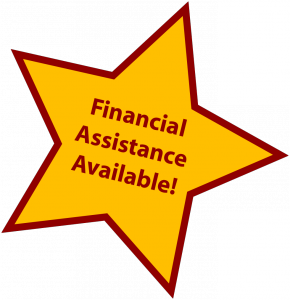 They will help eligible families with the cost of both lessons and an instrument.